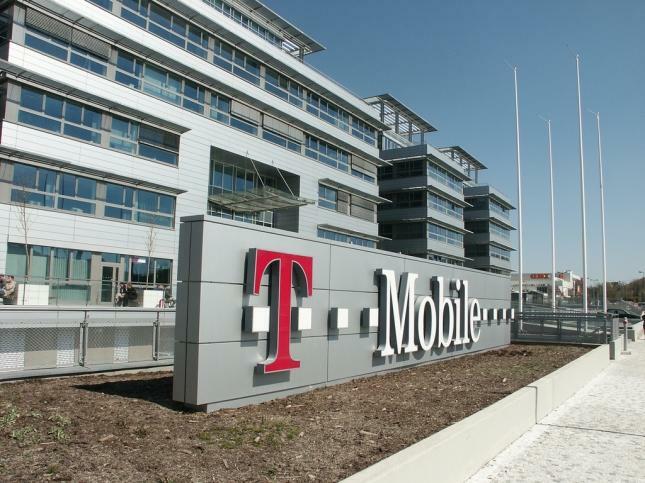 T-Mobile has just announced revamped mobile broadband data plans for business users allowing them to choose whether they or not they want to be throttled when reaching their data cap. T-Mobile is now offering “overage-free” and “high-speed” data plans for use with its tablet, mobile hotspots, and USB data stick lineup. The “overage-free” data plans allows businesses to control the cost of monthly data usage with plans that slow data speeds down when users reach their data allotments instead of incurring overage charges. The “high-speed” data plans do not slow speeds, instead applying overage charges ranging from $0.02 to $0.10 per MB depending on the data plan choice. T-Mobile’s business data plans are available in 500MB, 2GB, 5GB and 10GB variants with “overage-free” plans having a slightly higher price. Price starts at $29.99 per month for 500MB of full-speed data service, along with 2GB for $37.99, 5GB for $47.99, and 10GB for $77.99 per month. Business customers on T-Mobile’s Value Plan selections will save $5 per month on any of the “overage-free” data plan options. For business customers opting for the “high-speed” option, plan start at $24.99 for 500MB of data with $0.10 per MB overage fee, $34.99 per month for 2GB of data and $0.03 per MB overage fee, $44.99 for 5GB of data and $0.02 per MB overage fee, and $74.99 for 10GB of data and $0.02 per MB overage fee. As with the “overage-free” plans, business customers on T-Mobile’s Value Plans will save $5 per month on “high-speed” data plans. The “overage-free” plans are available to T-Mobile business customers now, with the “high-speed” plans expected to be unveiled later next month. Both sets of plans are only available to T-Mobile’s business customers, standard customers will continue to enjoy throttled data options only. BELLEVUE, Wash., June 27, 2012 — T-Mobile USA, Inc. today introduced two suites of mobile broadband data plans to address the growing use of mobile broadband devices (tablets, laptop sticks and mobile hotspots) and the increasing demand for data among business customers. T-Mobile’s new 500MB, 2GB, 5GB and 10GB overage-free and 500MB, 2GB, 5GB and 10GB high-speed data plans address the desire of customers to select the plan that best serves their business priority – whether that is predictable monthly billing or access to high-speed data for a reasonable cost. Pricing begins as low as $19.99 per month for 500MB on the high-speed data plan. This is an attractive entry point for low-volume data users and in line with T-Mobile’s strategy to provide disruptive pricing for business customers. The overage is 2x more expensive than ATT and VZW counterpart. David, I want to try to say this without coming off as being rude, if it does please forgive me. My question is do you proof read before posting articles? This may seem kinda petty but at least 1 out of 4 stories, there are at least one grammar error. Tmonews is a great place to visit, in return I’d hope that you would evolve from the amateur level to a professional level. I was no English fanatic in school, but how hard is it to take a second look over your postings before posting them? Not rude man, if there are mistakes, I want to know about it, some days, like today, posts are rushed up with limited editing since I’m a one-man show and it’s Google I/O day. If there are mistakes, I hope people point them out without acting like grammar nazi’s. Please let me know if there are any problems at david@tmonews.com and I’ll gladly work on fixing up articles before posting. HAhhah he said “grammar nazi’s”. T-Mobile makes their lives and their customers lives more difficult. 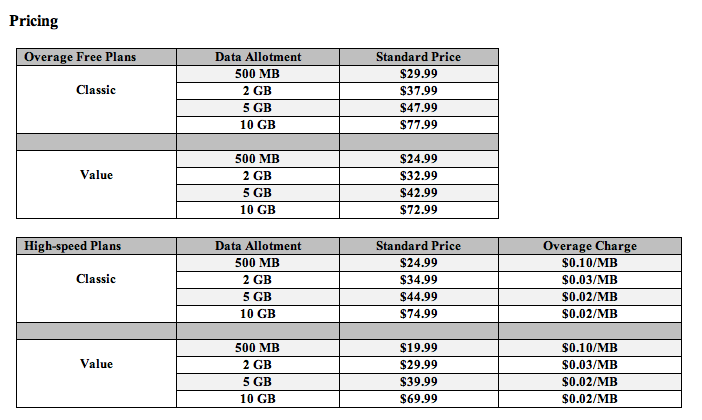 If they are going to rip us off just make it a clean $5 or $10 per GB overages across the board so there is no confusion. They are charging $329 for the 16GB Galaxy S3 that doesn’t even have LTE when their rivals sell it for $199.99 on contract. Did Humm approve these ridiculous prices before he got canned this AM? See…. I just came back from Spain, which is undergoing serious economic problems. But I PROMISE you, the coverage there was VASTLY SUPERIOR to what I got here. In the Rockaways of NY I had to either walk around t he BLOCK or up ANOTHER just to get a signal. FORGET 3g or 4g coverage.. OR …. Watch as the coverage faded in and out. My associates in the EU were incredulous at my experiences here… Afterall, I’m in the States, right? ?